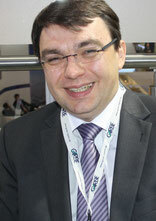 The Russian all cargo carrier continues unabated on its growth path. 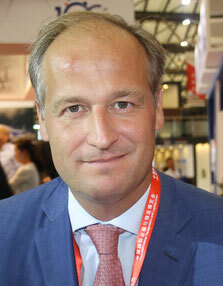 AirBridgeCargo (ABC) has shown a 31 percent year-on-year increase in tonnage for both May and also the first five months. May tonnage totaled 50.482 tons and January to May cumulative was 238.154 tons. Freight Tonne Kilometers(FTK’s) were also way up with May showing a plus of 21% and cumulative to end of May of 24%. The growth is largely attributed to AirBrideCargo’s forceful route expansion as well as upgrading and expanding present cargo routes. Luxembourg’s all cargo carrier recently announced that after almost two years of operations between Luxembourg and Zhengzhou, more than 100,000 tonnes of cargo have been flown between the two cities. The 50,000 tonne mark was reached already in October last year and the reaming tonnage during the past eight months. On June 20 the airline also announced a new product portfolio named ‘CV Select and CV Select+’ This new service offers CV’s customers guaranteed delivery times and real-time monitoring of their shipments. 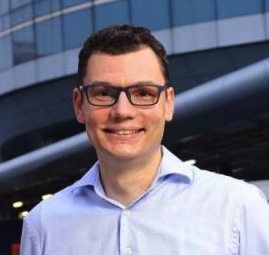 In the latest high-level departure from SingPost, its Chief Operating Officer, Sascha How-er, last week tendered his resignation from the country's postal provider amid an ongoing review on corporate governance. In a filing, SingPost said Dr Hower would step down with effect from Aug. 26, to pursue new, unspecified opportunities overseas. Singapore Post has begun a search for a new COO, an official said. Hower joined SingPost in 2012. Hower also resigned from his post as chief executive officer of Quantium Solutions, the international e-commerce logistics arm of the company, whose biggest shareholders are Singapore Telecommunications and China's Alibaba Group Holding Ltd.
Hower's departure follows the resignation of SingPost’s chief executive, Dr Wolfgang Baier last December, while last month, former executive director and president of Te-masek Holdings and current chairman of Singtel, Simon Israel took over from Lim Ho Kee as SingPost chairman, amid ongoing investigations by Singapore's Accounting and Cor-porate Regulatory Authority (Acra) over possible breaches of the Companies Act. Amsterdam’s Schiphol Airport cargo organization has for the second time being presented with the ‘Best Airport Europe Award’ at the recent Air Cargo China forum in Shanghai. The award was presented to SPL’s Cargo helmsman, Jonas van Stekelenburg at a ceremony held on June 15th. The award is organized by Air Cargo News who’s readers voted for SPL Cargo. Another award was handed out at the Shanghai show. This time Hong Kong based Kerry Logistics. Kerry were honoured with the Best 3PL Award at a ceremony held at the trade fair. Kerry Logistics were also named as the so called Best Green Logistics Operator. The US-based charter and ACMI airline, Kalitta Air has received another Boeing 747-400BCF freighter which they acquired from Boeing Capital. The aircraft was originally converted to freighter by Boeing in 2010 and handed over to Korean Air which then parked it in the desert in 2014. Kalitta now has a total of eleven B747’s in it’s freighter fleet, which are a mix of the 400BCF, 400F and 400ERF versions. Kalitta still has two old B747-200F’s and one B767-300BDSF in their fleet. The carrier has been plagued recently with worries about an upcoming pilot strike due to unrest among the airline’s flight crews due to payments and working conditions. The aircraft management company Vallair which is based in Luxembourg has given an order to the aircraft conversion company Pemco World Air Services for a B737-400 passenger-to-freighter (P2F) aircraft. It seems that the aircraft was until recently operated by Indonesia’s Sriwijawa Air and is now stored at Jakarta International Airport. Delivery is scheduled for September this year but so far it is not known which cargo operator will take it. Since last Thursday, AA Cargo offers the market lower deck capacity on their daily Boeing 787 nonstop flights between Los Angeles and Auckland. In a release, the airlines stress-es that this new route opens up a vast number of opportunities for customers connecting traffic through LAX to over 200 destinations in North and Latin America. Auckland is part of the company’s commitment to expanding operations in the Pacific, including other new routes to Haneda (HND) and Sydney (SYD). Cargo on the inaugural flight out of LAX included a variety of perishables and other consolidated freight, which was followed by medical supplies and mining machinery on the first return flight from New Zealand. Overall, some of the most commonly shipped commodities into and out of the region include e-commerce goods, perishables, horticulture products, edible fish and other chilled meats. AA has appointed GSA Cargo Service as its sales agent in Auckland, complementing the compa-ny’s existing role for the airline in Australia. Menzies Aviation will undertake ground handling for the carrier with freight reception through its cargo central facility.